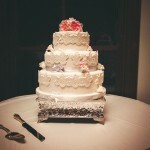 May was an incredibly busy month at Bonnie’s Cakes & Kandies last year! 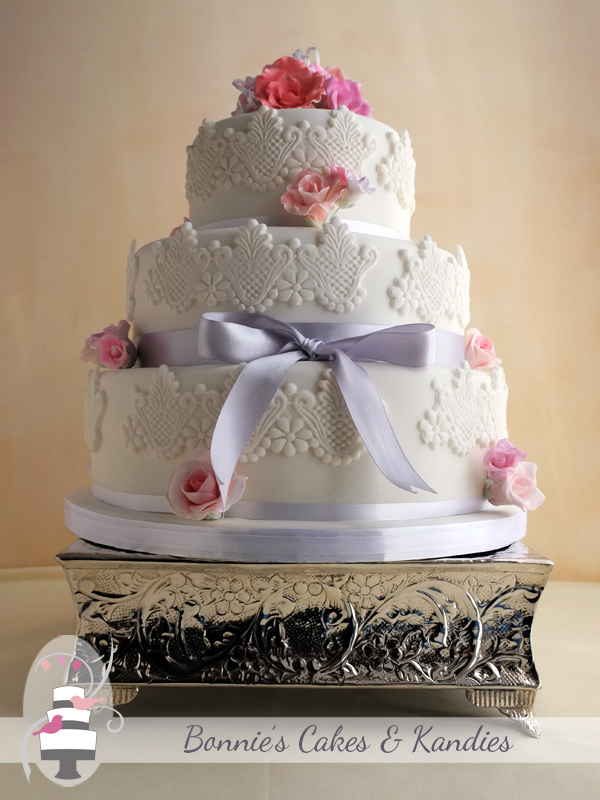 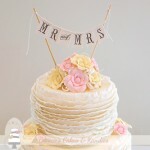 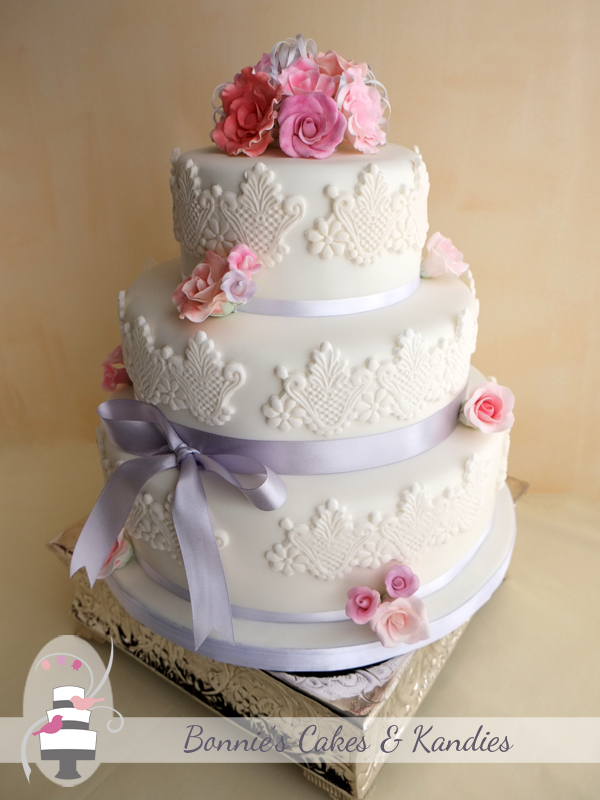 I not only had the pleasure of making my own daughter’s wedding cake, but also of creating wedding cakes for many other couples who chose the lovely month of May to celebrate their weddings! 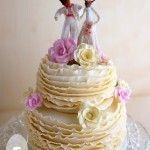 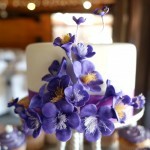 The cake that I am featuring today was made for a wedding held on the same day as my daughter’s wedding. 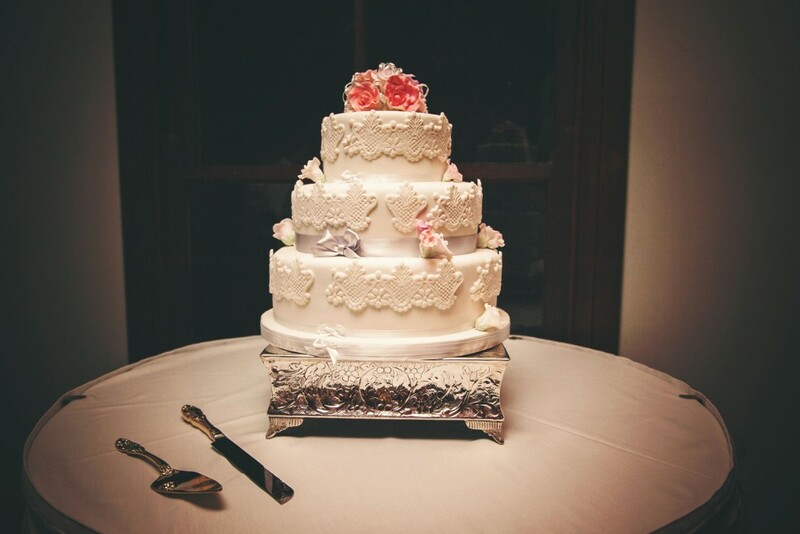 The reception was held at Gympie’s Gunabul Homestead, and was kindly set up by venue staff on the night, with one of my square silver plateau cake stands underneath the cake. 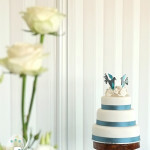 The flavours for this cake were a lovely mixture of orange and poppy seed, with white chocolate lemon buttercream filling for the top tier, red velvet cake with white chocolate buttercream filling for the middle tier, and rich chocolate cake with caramel white chocolate buttercream for the bottom tier. 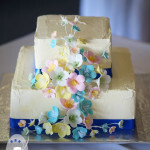 May wedding cake by Bonnie’s Cakes & Kandies beautifully photographed by Tegan Maree Photography for a Gympie wedding reception at Gunabul Homestead.